Every year we run dozens of incredible trips across western Canada and beyond. Here’s a list of trip reports, complete with photos, for you to browse through. 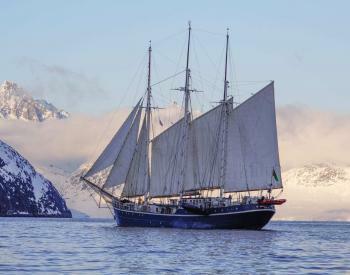 Our Ski and Sail trips to Svalbard this spring will enjoy around the clock sunlight in the Land of the Midnight Sun. Right now is a different story. Here’s a photo from noontime today, looking over the port town of Longyearbyen, where we’ll begin our Ski and Sail trips in May. You can just see a glimmer of light above the horizon as the sun, far to the south, struggles to light the sky at mid-day. Amazing! The Alpine Club of Canada’s General Mountaineering Camps (GMCs) are a very old tradition, dating back to 1906 and the dawn of mountaineering inCanada. They have always been pretty big affairs, attracting mountaineers from all over. The first one, in Yoho Valley, attracted about 100 participants and was considered a good way to give people the credentials to become ACC members. Back then, you needed to have a resume to join the ACC, and a 10,000 ft peak had to be in there somewhere, so the GMC was a good, safe introduction to “General Mountaineering”, led by certified mountain guides from Austria and Switzerland. Bow Yoho Traverse #3, amazing winter skiing in late April! Today I completed a week-long guided Bow-Yoho traverse from Bow Lake to Field, my 3rd and final Bow Yoho of the season! Throughout the week the area saw up to 50 cm of storm snow. Early in the week (Wednesday) there was a strong wind event and a natural avalanche cycle up to size 3. By Thursday things had calmed down quite a bit, with only a few avalanches to size 2.5 observed out of steep/extreme sun exposed gully features in the alpine. Skiing out the Tak Falls road today we saw widespread avalanche activity especially at treeline and below treeline. In early March 2018 I ran a ski camp out of Nirvana Pass. Located just a short distance from Mount Waddington, Nirvana is a hybrid between Coast and Chilcotin terrain. The glaciers are massive and tumbling, but the relief is not as severe as the neighboring peaks. And, while there’s a ton of snow, it’s not as intense and the weather is generally better than further west. I was pleasantly surprised at the weather we had during the week. It was mild, ranging between -18°C and 0°C. A brief storm just before we flew in to the area gave enough snow to make for excellent powder skiing all week. 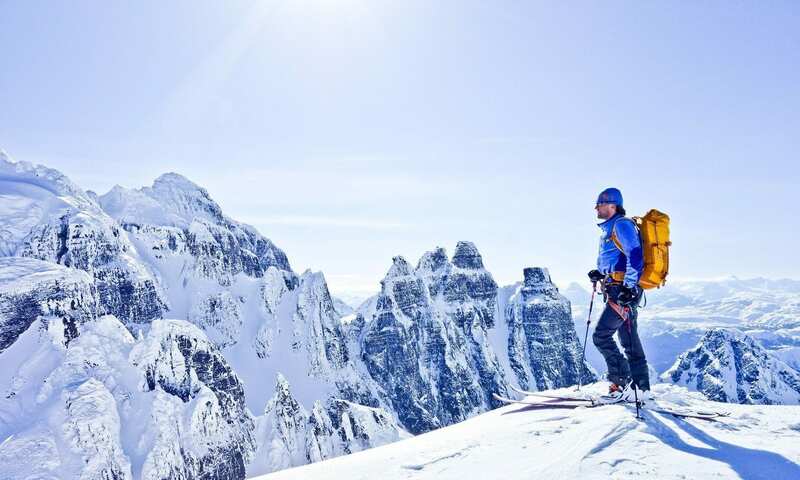 The reason this place is so perfect for ski mountaineering becomes obvious as soon as you fly over the pass. Rows of glaciers on either side of the valley are lined up one beside the other at varying degrees of steepness that are all perfect for skiing. The peaks are towering and rugged. I’ve been to some of the best ski lodges in the world, and I have to say Nirvana tops them all for terrain. Was a blast skiing with Tom!! Tom is a serious and very professional guid, I would be more than happy to take another trip with him. Thanks for all the fun turns.